Come 2015, India and rest of the world can see the first aircraft that is powered by solar energy and can fly non-stop. The aircraft, to be unveiled in a few months from now, will make a round-the-globe trip next year, showcasing the latest technology in various countries where it will have stopovers, according to Switzerland-based company Solar Impulse, which is manufacturing it. 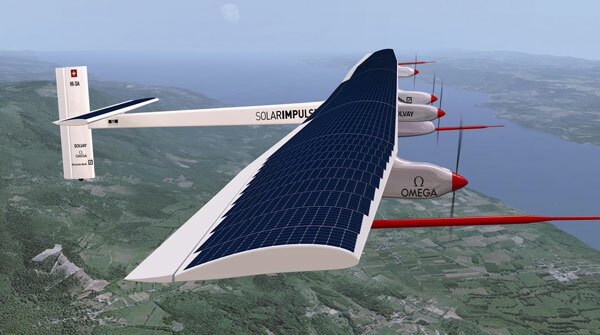 The plane, weighing around 2,740 kg, will be powered by 12,000 solar cells and can fly at the speed of 70 kms per hour. It can fly day and night continuously, collecting energy from the Sun, the company’s CEO Andre Borshberg told PTI here. The around-the-world sojourn will be for three months, with the total flight time being 20-25 days and nights. The journey will begin somewhere in the Middle East and the flight’s first destination will be India. “We hope to make two stops in India – one on west coast and another in the east – before the aircraft goes to Myanmar,” said the CEO, who is here in connection with preparations for making the India-part of the sojourn a high-profile event. The longest non-stop flight of five days and five nights will be across the Pacific Ocean, he said. Borschberg said the experiment is to show how renewable energy can be used and energy consumption reduced. “If we can use renewable energy on an airplane, we can certainly use it on the ground, where it is much more simple,” he said. He said the aircraft has such technology which makes it efficient with reduced energy consumption that enables it to fly day and night continuously. The same technology can be used on buildings and cars, he said. “We hope to showcase the technology in India to attract young generation which could help young generation to realise their own dreams,” he said. Borschberg said the company would gauge the interest of the Government of India and is looking for big industrial houses to host it. “We hope to do communication in India. We want students to see the pioneering technology,” he added. 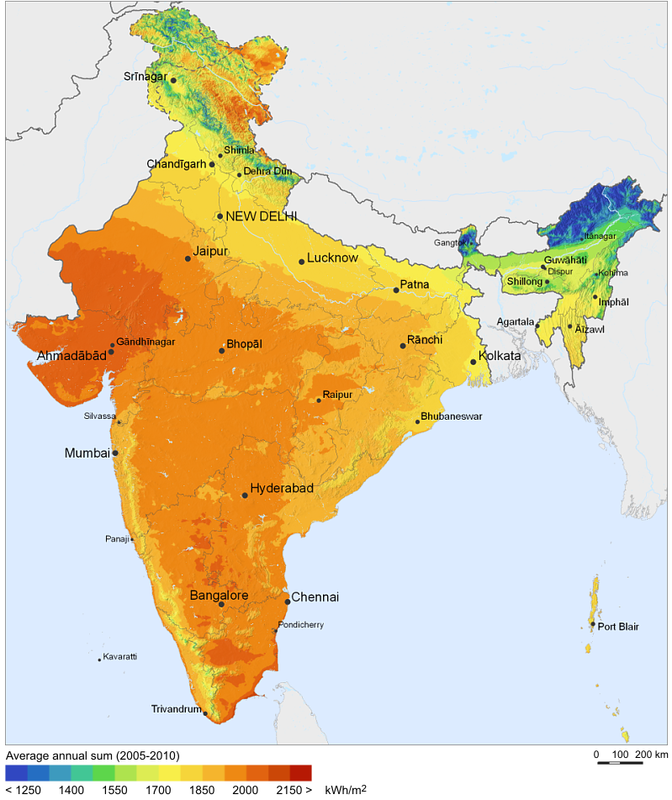 Pitching for greater use of solar energy, which is clean and renewable form of energy, Borschberg said it can be more useful in remote and hot areas. It can be used in providing electricity to buildings and power to cars. Solar panels used on this plane can also be used on satellites, he said. “The potential of this technology is immense,” he added. On why the usage of solar energy is not spreading, the company’s chief said cost of power could be factor. At the same time, he said the high cost of power could be during the initial period and in the long run, it will be worth investing. He said some Chinese companies have already started pulling down the prices by producing energy at low cost. A trio of companies has joined forces to develop a truck cabin air conditioning system that uses solar energy generated from panels on the trailer’s roof area for its power. ICL Co Ltd, Mitsubishi Chemical Corp and Nippon Fruehauf Co Ltd co-developed the air conditioning system and the companies plan to conduct field tests of the i-Cool Solar system shortly. If the trials go well, we could see these units on highways in spring 2012. The “i-Cool Solar” system stores electricity via the photovoltaic panels in special on-board batteries and uses the stored energy to power the cabin air conditioner when the truck is idle. The system is made up of the i-Cool air conditioner from ICL, the installation mount for the PV panels from Nippon Fruehauf’s, and the PV cell modules from Mitsubishi Chemical. The companies claim the i-Cool Solar can save roughly 1.8 liters of light oil per hour when the truck is not moving and reduce fuel consumption by about 1 percent when the truck is moving (based on calculations made on a standard 10 ton truck). This results are fuel savings of around 1,500 liters of light oil per year. The i-Cool Solar unit also makes it possible to operate other equipment on trucks, such as moving up and down the tail gate. The air conditioning system can also reduce the over-discharge of the storage battery which increases its lifespan. A smaller version for use in cars is also in development. According to a team of researchers at the UC San Diego Jacobs School of Engineering, the solar panels sprouting on increasing numbers of residential and commercial rooftops around the world aren’t just generating green electricity, they’re also helping keep the buildings cool. The news that letting photovoltaic panels take the solar beating will reduce the amount of heat reaching the roof shouldn’t come as much of a surprise, but the fact no one has thought to quantify just what the effects of rooftop solar panels on a building’s temperature are is a little baffling. Although the observations for the study were taken over the short period of three days in April this year, Jan Kleissl, a professor of environmental engineering at the UC San Diego, and his team believe they the first peer-reviewed measurements of the cooling benefits provided by solar photovoltaic panels. And despite the limited time, Kleissl is confident his team developed a model that allows them to extrapolate their findings to predict cooling effects throughout the year. Using a thermal imaging camera, the team gathered data on the roof of the Powell Structural Systems Laboratory at the Jacobs School of Engineering, which is equipped with tilted solar panels as well as solar panels that are flush with the roof, while some of the roof is not covered by any solar panels at all. They determined that during the day, the panels reduced the amount of heat reaching the roof by about 38 percent and as a result the building’s ceiling was five degrees Fahrenheit (three degrees Celsius) cooler than the ceiling under an exposed roof. Tilting panels with a gap between the building and the solar panel that allowed air to circulate were found to provide a bigger cooling effect than flush solar panels. Kleissl and his team say the amount saved on cooling the building amounts to a five percent discount on the price of the solar panels over their lifetime. Additionally, the panels help hold heat in at night to cut heating costs in winter. On the flip side, however, the panels would also keep the sun from heating up a building in winter and would keep the heat accumulated in the building during the day in summer from escaping at night. Therefore the effects effectively cancel each other out in many climates. Created by U.S. architectural firm Brooks + Scarpa, the recently completed Green Dot Animo Leadership High School in Inglewood, Los Angeles, wears its green heart very much on its sleeve. The new public school for 500 students is characterized by a large south facing façade covered with 650 solar panels, which not only help shield the building from the sun but also capture an estimated 75 percent of the energy needed to power the school. According to Brooks + Scarpa the school’s combined sustainable strategies “will reduce carbon emissions by over 3 million pounds (1.36 million kilograms),” which translates to the equivalent of the annual emissions from more than 1000 cars. In a design that also incorporates passive solar principles, the architects chose to move away from creating a traditional large block-like structure, instead choosing to build the school around a large internal courtyard. Benefiting from the Californian temperate climate, this landscape naturally makes its way into the school’s protected open-air lobby. This design helps to improve the amount of natural light and ventilation that can enter the structure, limiting the need for additional interior lighting and air conditioning. Where the exterior is not covered with solar panels, ribbed screens have been installed which visually connects the school with its external environment and enable staff members to control how much light can enter the building. The 53,500 square foot (4970 sq m) Green Dot school was completed at a cost of US$17.3 million. Solar Power : How does solar power work? Solar energy systems convert sunlight into electricity using technology such as photovoltaic (PV) panels, also known as solar panels. When you install a solar energy system, your home uses electricity produced by the panels. Electricity you generate but don’t use can be fed back into the main electricity grid and your retailer will pay you for this energy. To feed electricity into the main electricity grid, you need a new meter that can measure two way flows of electricity (into and out of the grid)—your solar installer will be able to confirm whether your existing meter is suitable or whether you need a new meter installed.